TIJUANA, Mexico (AP) — Before dawn each morning, migrants slip away from a Tijuana shelter within sight of the U.S. border to head to jobs across this sprawling city. Moving solo or in pairs, they are easily recognized by their determined strides as people with someplace to be. By sunrise, another crowd has gathered at a corner near the shelter to wait for job offers. On a recent morning, a dozen migrants scrambled into the bed of a Dodge pickup, their enthusiasm bringing a chuckle from the driver. The migrants didn't even know where they were going or when they'd be back — some carried bedrolls — but said the work would be peeling tomatoes. Facing a likely months-long wait in Tijuana before even getting the chance to request asylum in the United States, many migrants are looking for work. Others who have already decided to stay in Mexico have applied for, and in some cases received, permits to work in Mexico. It's something the Mexican authorities have encouraged all the migrants to do in the hopes that jobs will help them put down roots here rather than crossing into the U.S. In most cases the migrants are relieved to have something that takes them away from the miserable conditions in the overcrowded shelter, where the hours pass slowly, and puts some money in their pockets. "Here you make a little money," said Nelson David Landaverde, a 21-year-old Honduran who was out looking for food for his 16-month old son when someone approached and asked if he wanted to work at a car wash. He didn't think twice. He and his pregnant wife have put their names on an informal list of thousands of potential applicants for asylum in the U.S., but in the meantime he's eager to earn money to make their lives a little easier in Tijuana. 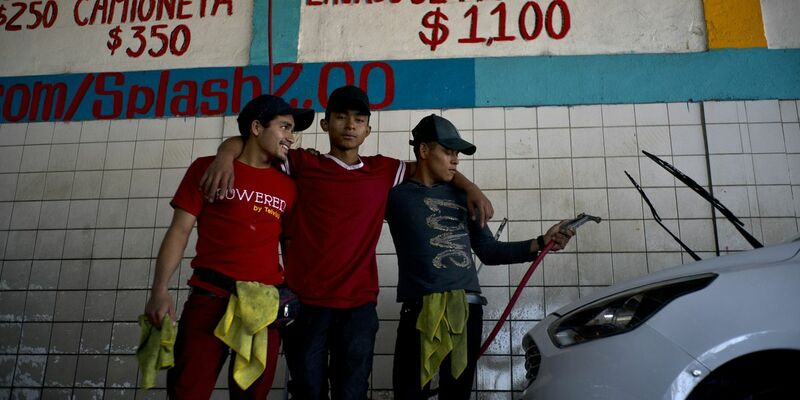 The job pays about 75 cents per car, and by washing as many as 10 cars on a good day he hopes to take in more than Mexico's minimum wage, which is less than $5 a day. While authorities have closed the shelter near the border and relocated many of the migrants to another more distant shelter, hundreds have refused to leave the old one and are camped outside. The reason many give is that they have found jobs nearby. Marco Rosales, a Honduran immigrant who has lived in Tijuana for eight years, stood in the street surrounded by Central American migrants eager for his job advice. "Don't come here with the mentality of Honduras," he said. "This is a new country, a new state where you can change yourself if you want to." He only had room that morning for a handful to work at another nearby car wash, but he was sure he could find work for more later if they were willing. "I'm trying to explain to them that you'll get ahead doing things the right way," he said, when asked why he had urged them to work instead of joining a march to the border. 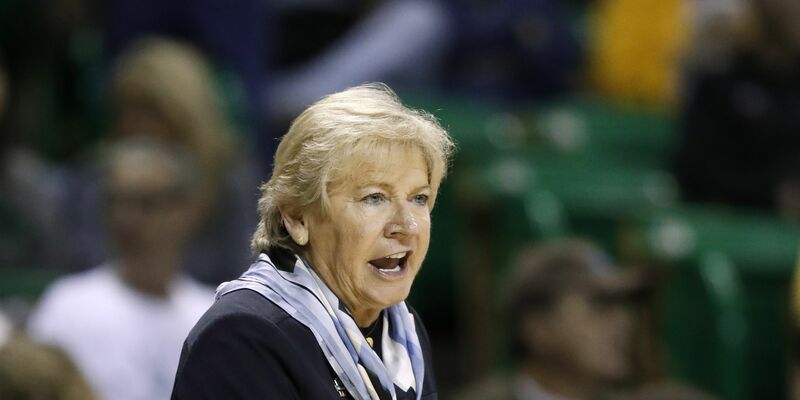 "If we do things the wrong way we're not going to get anywhere. If they want to march to close the border it's not going to accomplish anything." At a downtown location migrants were gathered to start the paperwork to apply for temporary visas in Mexico that would allow them to work legally. Once they get their Mexican identification numbers they can meet with recruiters for assembly plants, where turnover is high and jobs are always available. Baja California state officials say they have identified thousands of jobs that the migrants could apply for. Fernando Hernandez said he had just arrived in Tijuana a day earlier, but was there to find work while he awaited a chance to enter the U.S.
"If we can cross (to the U.S.), we cross, but if not, you've got to work in the meantime," said the 24-year-old who has worked in warehouses in his native Honduras. Attendance at a job fair set up to help the migrants find work has surged since a Nov. 25 march on the U.S. border devolved into chaos when some migrants breached the border and U.S. agents responded by firing tear gas into Mexico. Before the march, only about 100 migrants were showing up each day, a number that has grown to 400-plus or more since. Among those who have taken advantage of work opportunities in the city is Jared Carnales, who walked purposefully through downtown Tijuana's darkened but still lively streets, his red wind breaker zipped up against the pre-dawn chill, his red baseball cap pulled low. The 23-year-old from Tegucigalpa, Honduras, didn't look at the people still chatting loudly around bar entrances or staggering down the sidewalk. Carnales was on his way to work in a Mexican restaurant across town where the specialty was tripe stew. He didn't know the name of the restaurant's street or even the neighborhood, but he had memorized the route. He waited for 10 minutes on a corner outside a 7-Eleven for a commuter bus, letting several buses pass in order to save 15 cents before boarding the cheapest one available. Carnales, who drove a bus in Honduras' capital, said transportation in Tijuana was about twice as expensive. After a 15-minute ride, Carnales got off in a hillside neighborhood and set off walking. Across the street from the restaurant he knocked on the steel door of another of Tijuana's many shelters. Arriving a couple days ahead of the caravan, he had spent his first couple nights there. That was how he found his job at the restaurant. He left his possessions with someone at the shelter for safekeeping each day while he worked. A Guatemalan couple he met on the long trek to Tijuana saved him a space to sleep under a tarp back at the shelter near the border, but he always took his bags with him. The restaurant was already humming with activity at 6 a.m. The staff jockeyed for position in front of a mirror adjusting their uniforms and fixing their hair. Pop music blared as Carnales pulled on his work shirt and tied a bandanna around his head. He took his position in a corner of the kitchen and began pulling tripe from a bin. He dunked them in water, wrung them dry and scraped them on the counter. Carnales had thought of leaving Honduras for a long time, but the caravan gave him the first opportunity. He said he wanted to make it to the U.S. to work so he could help out his mother and siblings back home, but for now Tijuana was OK.
"There's work here," he said. "I'll spend some time here and then go there."